In the Māori language Matariki is the name of the Pleiades star cluster, in the constellation of Taurus the Bull. 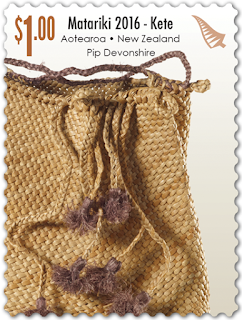 The first rising of the Pleiades and of Rigel (Puanga in Māori) occurs just prior to sunrise in late May or early June, and this indicates that the old year has ended and the new year has begun. 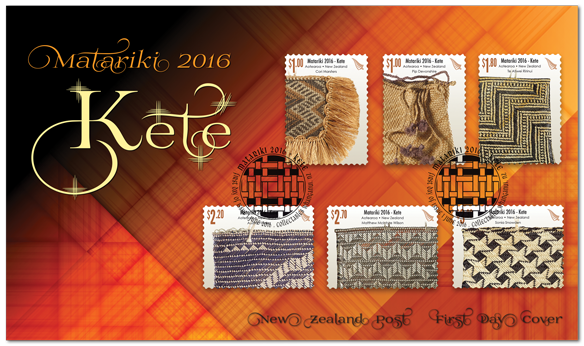 The annual appearance of the seven stars of ‘Matariki’ (or the Pleiades star cluster) signals a time for renewal, reflection and celebration! I have been looking in the eastern sky just before dawn hoping to spot Matariki but this will prove difficult since I live near the western side of the large city of Auckland. But if you look for it later in the year, first find Orion the Great Hunter also called The Pot by some in New Zealand. Those three stars that make up his belt are very distinctive. Then move your attention ahead of Orion towards the west. The Pleiades will appear as a small group of seven stars very close together but if you use binoculars or a small telescope many more stars can be seen in this spectacular star cluster. The Craft of Weaving Kete. 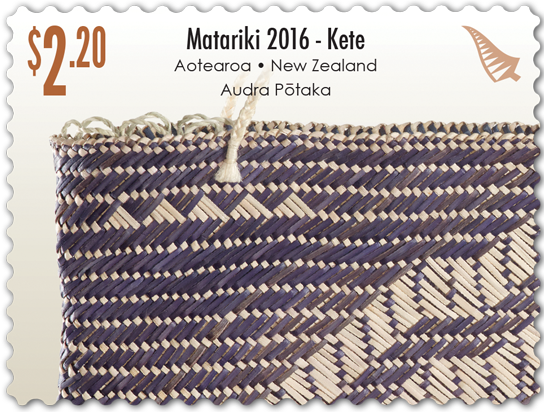 Issued to coincide with the dawn of the Māori New Year, the 2016 Matariki stamp issue examines the art form of kete (woven baskets); its origin, development and significance to te ao Māori (the Māori world). The six self-adhesive stamps feature six finely crafted kete, created by artists recommended by Toi Māori Aotearoa - Māori Arts New Zealand. 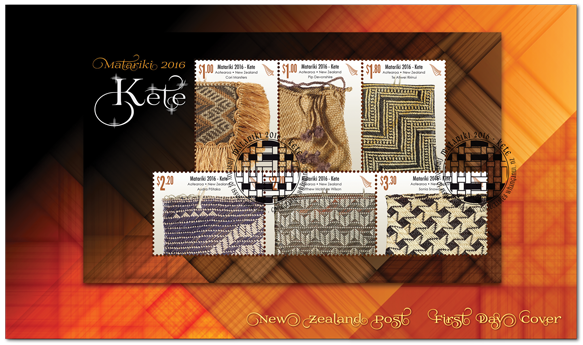 The origins of kete can be linked back to the widely known tradition of ngā kete o te wānanga, commonly coined as the three baskets of knowledge. 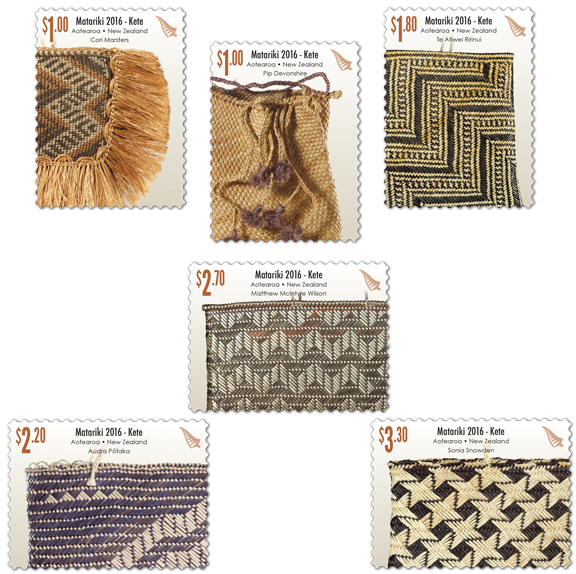 The three baskets of knowledge contain all that is required to live in te ao türoa (the environment), and oral traditions recount either Täne or Tāwhaki as the retriever of the baskets. One was indeed a god, the other a mere mortal with godlike attributes. 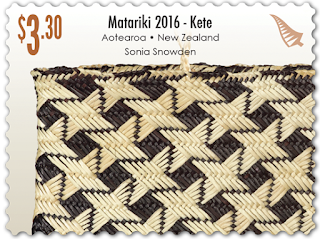 Functionally, kete are containers - receptacles for gathering and housing what is considered necessary for the task at hand. 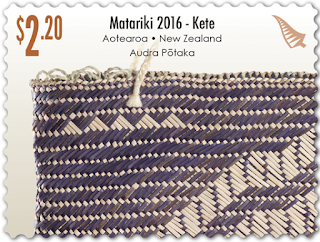 But in a modern world where other items fore fill that role kete has become a treasured Mäori art form passed down through the generations. 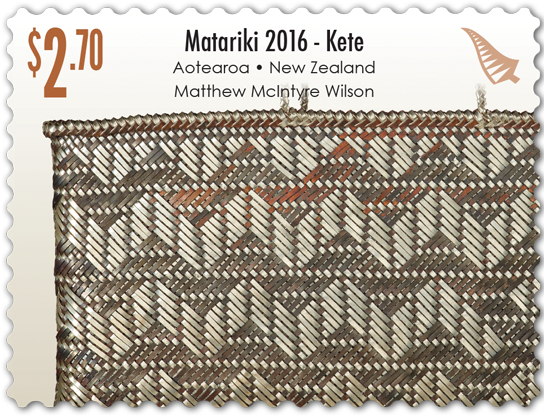 Kete are most commonly weaved from flax due to its durability, but contemporary artists are pushing the boundaries of kete design, with Matthew McIntrye Wilson’s piece created from silver and copper. 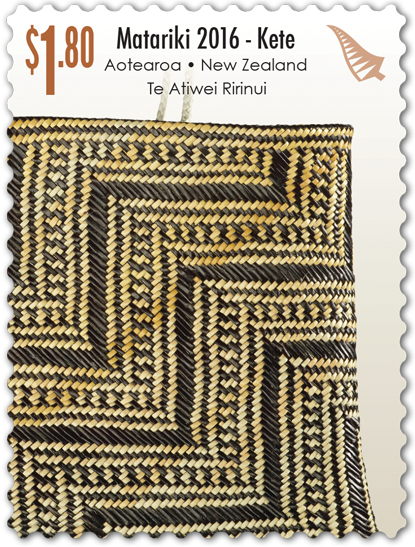 $1.80 - Te Atiwei Ririnui. Taught by his koroua (elder) who instilled in him a love for this art form, Te Atiwei thrives on aspiring to scale the summits of excellence in raranga (plaiting) and whatu (twining). The combination of his passion and drive to excel is what makes him a formidable weaver. The poutama (male lineage) design is difficult to execute and here, Te Atiwei displays mastery and control of the form. 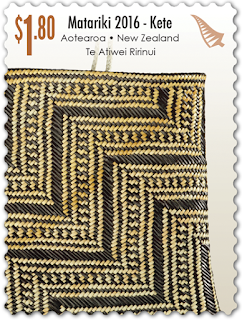 Weaving since 1998 and immensely proud of her Ngāti Mutunga heritage, Audra experimented, creating a unique design embodying her maunga (mountain), Taranaki. Its non-compliance with a symmetrical form displays subtle nuances of peaks. In addition to Taranaki, toroa (royal albatross) feathers are subtly placed, providing balance. 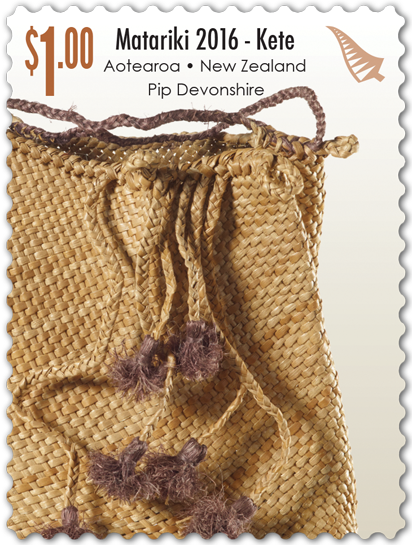 The two symbols in this kete epitomise the narrative of an enduring people, making it unique and distinctive. 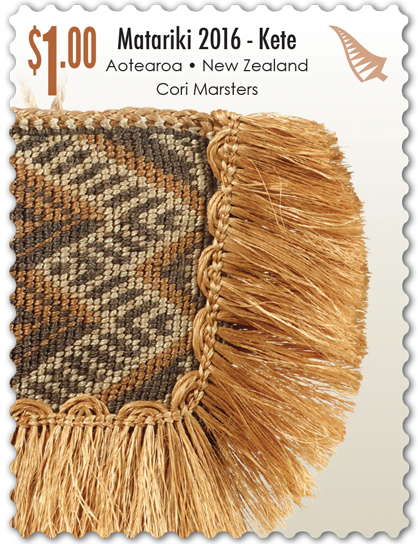 Audra acknowledges Matthew McIntyre Wilson, weaver and jeweller of Taranaki and Ngā Mahanga, who became a source of inspiration during the weaving of this kete. 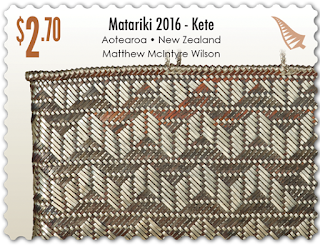 $2.70 - Matthew McIntyre Wilson. 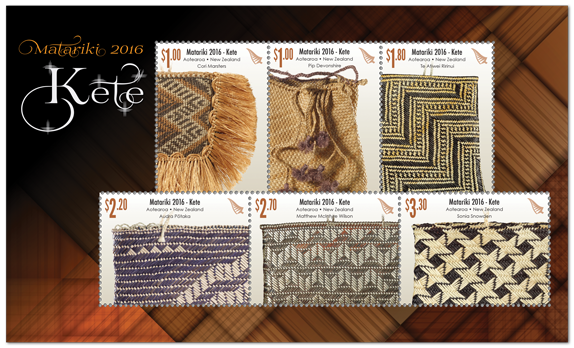 Unless stocks are exhausted earlier, these stamps will remain on sale until 31 May 2017. 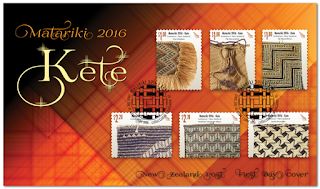 First day covers will remain on sale until 31 July 2016.